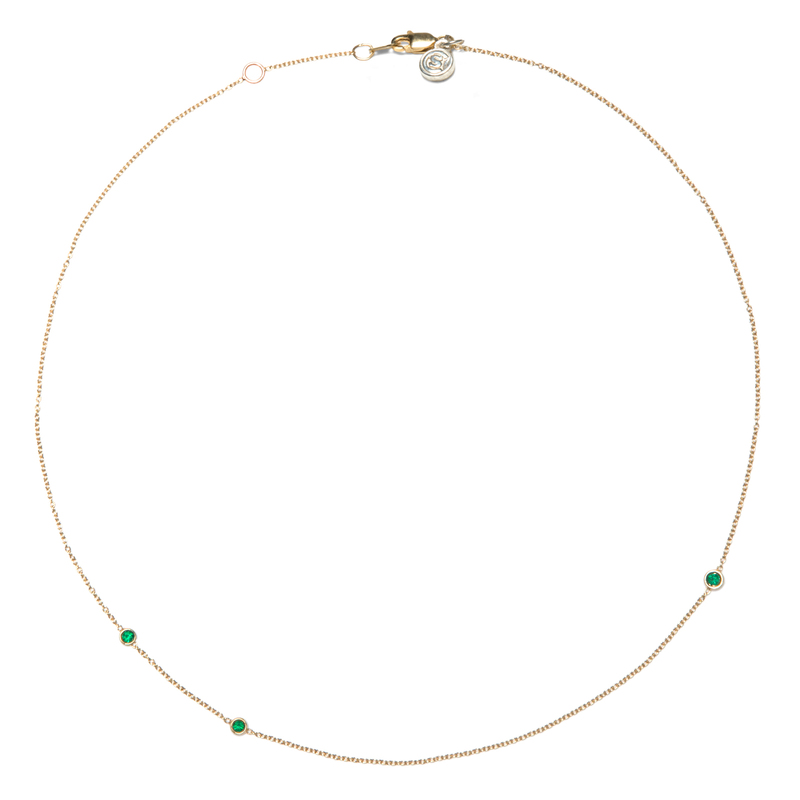 A timeless gold chain made for layering or wearing alone. 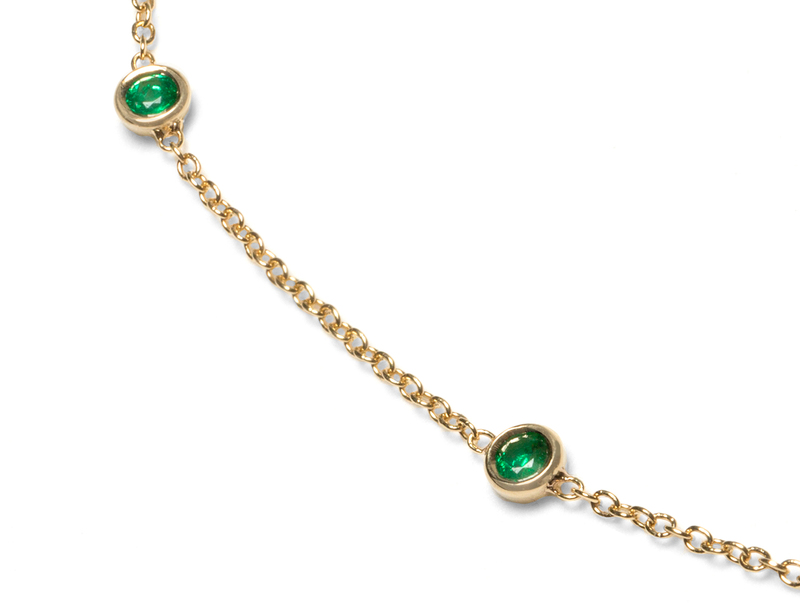 Three bezel set Gemfields Emeralds add an alluring burst of color. From our LOVE Collection.